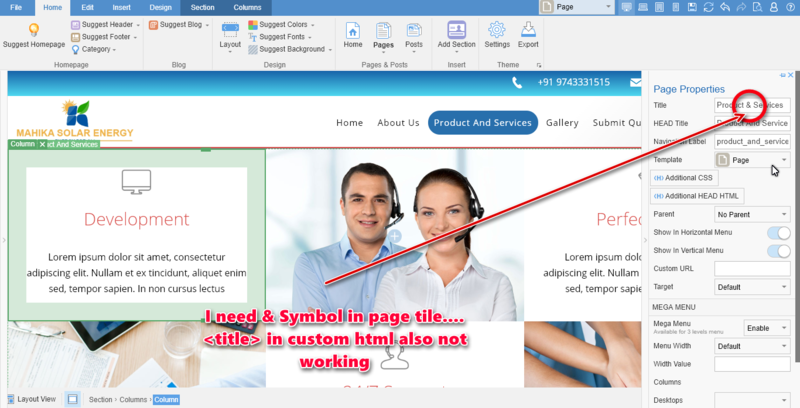 I like to Add the page and header title as "Products & Services" but as soon as I add any symbol it is getting removed. Why? Is there any other way to add the symbols like "&" and "|" in the page name/title and header.